Spice up your blog with these fun, colorful social media icons! The download includes 24 icons in 4 different colors. Let me know if you download these, I'd love to know what you think! 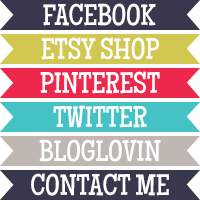 You can also like my Facebook page for even more fun updates and freebies. Thank you for these! I also appreciate the links to how to install them! Thank you!! These are so great! I put them up on my blog. I hate to ask, but is there any way you can add a YouTube icon?? nice blog too informative. looking and reading your points its so impressive. doing more blog like this. i really appreciated doing like this. Copyright 2012-2013. All Images are mine, do not use without credit. Powered by Blogger.